How to get most of the textbook [5 Approaches] to Ethiopian students? 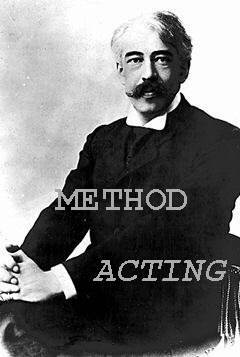 5 Approaces to Acting -- Last Part. 6 -- Create Your Own Method! How to keep the same webpages structure even if I use a different textbook? Actor's Journals -- analysis and character development. IRINA [sobs loudly]. Throw me out, throw me out, I can't bear it any more! OLGA [alarmed]. What is it? What is it, darling? OLGA. Don't cry, my child, don't cry. It makes me miserable. IRINA. I'm not crying, I'm not crying.... It's over... There, I'm not crying now. I won't... I won't. OLGA. Darling, I'm speaking to you as a sister, as a friend, if you care for my advice, marry the baron! OLGA [puts her arms round her sister]. My darling, lovely sister, I understand it all; when the baron left the army and came to us in a plain coat, I thought he looked so ugly that it positively made me cry... He asked me, "Why are you crying?" How could I tell him! But if God brought you together I should be happy. That's a different thing, you know, quite different. MASHA [sits up]. She walks about as though it were she who set fire to the town. OLGA. Masha, you're silly. The very silliest of the family, that's you. Please forgive me [a pause]. MASHA. I want to confess my sins, dear sisters. My soul is yearning. I'm going to confess to you and never again to anyone... I'll tell you this minute [softly]. It's my secret, but you must know everything.... I can't be silent... [a pause]. I'm in love, I'm in love... I love that man.... You have just seen him... Well, I may as well say it. I love Vershinin. OLGA [going behind her screen]. Stop it. I'm not listening anyway. OLGA [behind the screen]. I'm not listening. Whatever silly things you say I won't hear them.